Most people have heard of Bitcoin by now – the digital currency which has made headlines in recent years thanks to its phenomenal rise (and occasional crash) in value. But Bitcoin is just the first of many digital currencies – known as cryptocurrencies due to their use of sophisticated computer encryption which prevents them being spent more than once, hence giving them their intrinsic value. In fact, there are now well over 1,000 cryptocurrencies, with more emerging all the time. One of the most popular and enduring is Litecoin. But how is it different from Bitcoin and other cryptocurrencies? Here’s my overview of the currency that is often considered the silver to Bitcoin’s gold. Before we dive in, as always, remember that investing in cryptocoins or tokens is highly speculative and the market is largely unregulated. Anyone considering it should be prepared to lose their entire investment. The code used to create Bitcoin was released into the public domain – or made open source - by the mysterious creator, Satoshi Nakamoto. This means that anyone can take it, modify it and use it to launch their own cryptocurrencies. Which many people have done – and Litecoin was one of the first to gain traction. Although it was originally based on the same code, Bitcoin and Litecoin transfers are recorded on entirely separate blockchains, effectively meaning they are different currencies. Litecoin was created in 2011 by former Google engineer Charlie Lee. The aim was to create a blockchain-based currency which would solve some of the problems inherent to Bitcoin – in particular the slow transfer speeds. When it was launched in 2009, Bitcoin transactions would take around 10 minutes to complete. Due to the growth in size of the network and the Bitcoin blockchain, today transactions can take anywhere between 30 minutes and, in extreme cases, over 24 hours. Another problem that Litecoin was designed to solve was the mining ‘arms race’. Mining – the process by which new Bitcoins and Litecoins are created – involves using computer processing power to run complex algorithms, creating new blocks on the blockchain. Once Bitcoins started to be traded for ‘real’ currencies like US dollars, Bitcoin mining quickly evolved into an arms race as miners threw increasing amounts of processing power into creating coins more quickly. Litecoin mining, however, being based on an algorithm known as scrypt, rather than The SHA256 algorithm of Bitcoin, couldn’t be accelerated so easily simply by upping the amount of processing power being thrown at the problem. This was designed to lead to the supply of Litecoins increasing at a steadier rate. Proponents of Litecoin often refer to it as acting as silver to Bitcoin’s gold. It’s an interesting metaphor which stands up to scrutiny – while one unit of Litecoin is certainly less valuable than one unit of Bitcoin, both are commodities which are used as a store of value. Like gold and silver, Bitcoin and Litecoin are distinguished from each other by their available supply. The Bitcoin network has been built so that there will never be more than 21 million coins in existence. The eventual supply of Litecoin will top out at 84 million, and this discrepancy in size of supply is another factor which has brought about the gold and silver analogy. While the analogy stands up today, its worth remembering that neither Bitcoin or Litecoin actually are precious metals. They are computer applications which use different methods to achieve the same results – enabling transactions in digital currencies. Litecoin’s faster response times may eventually lead to it becoming more useful that Bitcoin, and their relative value could change dramatically, perhaps meaning one unit of Litecoin becomes more valuable than one unit of Bitcoin. While this seems unlikely today, it’s worth remembering that cryptocurrencies are a very new thing, compared to gold and silver which have been with us for millennia. The mechanisms around their supply and demand are far less well understood. As one of the more established cryptocurrencies, there are a fairly good number of options available to anyone who wants to buy Litecoin – whether it’s to spend them, or just as a speculative investment. Coinbase lets you use credit cards and debit cards to buy them with ‘fiat’ (government controlled centralised currencies like USD or GBP) currency. Litecoinlocal matches buyers with sellers for peer-to-peer trading. Many other cryptocurrency exchanges including Binance and Bittrex allow trading in different pairs of cryptocurrencies, if you already have Bitcoins and want to diversify your crypto portfolio. Where can I spend Litecoins? 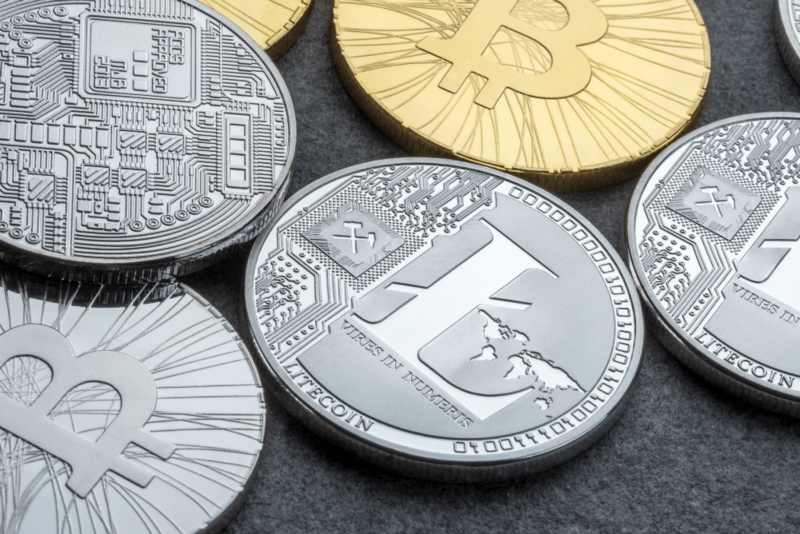 Although Litecoins are still not quite as widely accepted as Bitcoins, there are a few options if you don’t want to hold onto them in case they rise in value. Overstock is the closest thing to an Amazon of cryptocurrency, with a wide range of home goods, electronics and fashion available to US buyers. A wide range of jewellery can be bought with Litecoin (as well as a number of other cryptos) at Cryptojeweller. Clothing (mostly cryptocurrency themed t-shirts) can be bought at Cryptoverge. If you want to maintain anonymity when buying VPN or anonymous email services, then many providers including Torguard and NordVPN will accept payment in cryptocurrencies including Bitcoin and Litecoin. And if you fancy converting your digital gold and silver to real gold and silver, then COAex allows you to trade Bitcoin or Litecoin for bars of precious metal. Of course, this is really only scratching the surface, to show the wide range of goods and services which are gradually becoming available in exchange for Litecoin or cryptocurrencies. A more comprehensive and frequently updated list is available on Reddit.